Researchers have been trying to find the cause of migraine since long but so far the success is nowhere in sight. There are different views about the causes of migraines but none has been established with authenticity. Broadly speaking, migraine has something to do with the nerve system but what is that, is not known. Some people believe it to be genetic disorder but probably this is only a supposition. It could be caused by functional changes in the trigeminal nerve system. Migraines may be caused by imbalances in brain chemicals, including serotonin, which drops during headache but what factors cause that to drop is not known. It is said that level of magnesium also drops just before or during a headache but what causes that to drop is again not known. Another viewpoint is that migraine is psychosomatic in nature, which is unconfirmed. Hormonal changes particularly in women are also said to be a cause but like other causes this one is also not confirmed. Some people call it hereditary in nature but this also remains unconfirmed. There is no known cause of one-sided headache. Certain food items like tea, coffee, beer, candy sweets, chocolate etc. Riding in a vehicle etc. etc. This list is not exhaustive by any means. There can be more factors specific to an individual triggering the headache. If you go for homeopathic treatment, don’t forget to mention what triggers your headache. If the headache is occasional and due to a known cause like lack of rest, diagnosis in detail may not be necessary but if the headache persists and comes on without a known cause, if would be necessary to go through complete check up. In addition to usual question and answer session, your doctor might inquire about your family history, eating habits, usual life style etcetera and then decide what tests to perform. Among the tests are "Computerized Axial Tomography" (CAT), also called CT Scan or CAT Scan and Magnetic Resonance Imaging (MRI). This is done through an X-ray machine specially designed to take a series of computer-controlled X-rays in a cross-sectional view of inside of the head to detect tumors, hemorrhages and other problems. The cross-sections are like very thin slices of body part scanned. This technology has become very common and can be used to scan other parts of the body as well. However, if the cause is of nervous origin, this test might not be fruitful. It is a radiology technique that uses a powerful magnet, radio waves, and a computer to produce cross-sectional images of body structures. The images produced by MRI are quite detailed and can detect minute structural changes inside the body. MRI scan is an extremely accurate method of detecting diseases, hemorrhages, swelling, brain aneurysms, stroke and brain tumors etcetera. It is not necessary that some cause of migraine would always be detected through this or other tests. One can continue to have migraine headache even if all the tests are clear and there is no apparent reason to have headache. That is the case with lots and lots of migraine sufferers. 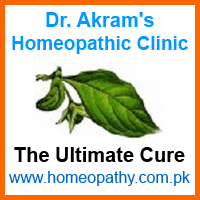 Such are the cases where homeopathy is especially useful because it goes by the symptoms not by the cause.